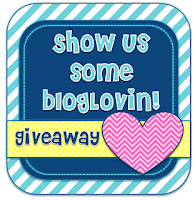 ♥Teaching Fabulous Firsties and 2nd Grade Smarties!♥: Show Me Some BlogLovin' Giveaway! Show Me Some BlogLovin' Giveaway! Hello Fabulous Followers of Teaching Fabulous Firsties...& Second Grade Smarties! I am giving away TEN free products from my Teachers Pay Teachers site for followers of my blog on BlogLovin'! Google Reader is going away on July 1st (I’m sure you’ve heard this a lot by now). It may go away, but I don't want you to go away, so please consider following my blog through BlogLovin’’! This will take a few minutes of your time, so to make it worth your efforts, I am going to have a giveaway for all of my wonderful followers that switch over to BlogLovin’. Even if you have already switched over, you are still eligible for prizes! Tori at Tori’s Teacher Tips has a detailed post with REALLY GOOD visuals and an explanation of how to do all of this. It was super easy to follow. Or you can try these steps. It really isn’t hard to do on your own. She is also hosting a linky party so you can find more fun blogs to follow. If you have not yet switched or are not following our blog through BlogLovin’, then there are a few easy steps to follow. 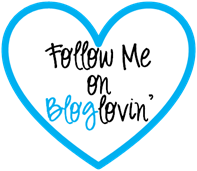 Click on the blue heart button on the left that says, “Follow me on BlogLovin'"
You will need to set up an account with BlogLovin’ so that you can follow this blog and any other blogs that you love. Please be sure to leave your BlogLovin’ username in the Rafflecopter entry. Then, go to this post on BlogLovin’ and "like" it. So, if you follow me by BlogLovin’, please enter my giveaway!! Ten followers are going to win a free pick from my Teachers Pay Teachers store! Thanks for reading this loooonnnng blog post! Be sure to click on the other blogs in this linky to follow other great bloggers on BlogLovin’ and maybe win a prize from them, too! Congratulations to these fabulous winners of my 300 Follower Giveaway! You should be contacted soon by to get your prizes. Thank you to all of my bloggy/TpT friends who donated a TON of great prizes! I'm also giving away a BOGO coupon to the first ten people who leave a comment & leave their email. You can purchase one item from my Teachers Pay Teachers store and then I'll email you your freebie choice (of equal or lesser value). I love it, too! I am going to work on putting blogs into groups by grade level or special subject. So cool! I can't wait to purchase a few things. You're welcome. :) Check your email. I found you on bloglovin! Thanks for the opportunity. A new follower, but this is awesome. Can't wait. Already following my girl!! Check your Rafflecopter! I am very happy to continue following you on bloglovin'!